According to the company, when dealing with calling types, developers sometimes faced too much restriction. 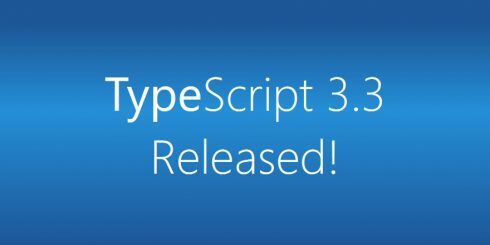 TypeScript 3.3 aims to fix this by intersecting the parameters of signatures together to create a new signature. However, the company does note there is still some restrictions. “This new behavior only kicks in when at most one type in the union has multiple overloads, and at most one type in the union has a generic signature,” Daniel Rosenwasser, program manager of TypeScript, wrote in a post. Going forward, the team will continue to work on the user experience to address this. The release also aims to speed up build times with –build mode and –watch mode improvements. According to the team, testing has shown a 50 to 75 percent reduction in build times than the original –build and –wach times.